For the first time ever, this year’s Shabbat Project will include “Pink” challah bakes across the US, in honor of Breast Cancer Awareness Month, which takes place throughout the month of October. Hundreds of women are already registered for the event in Boulder, with Jewish breast cancer organization, Sharsheret, along with Myriad Genetics, offering educational resources, as well as BRCA screening and testing before the event. You do not have to be registered for the event to access the screening. Please bring your insurance card. Established in 2013, this year’s Shabbat Project theme is “Stop doing. Start being,” which references the unique opportunity that Shabbat affords people to devote one day to the truly important things that might otherwise get lost in the maelstrom. This year’s Project will be held in approximately 300 cities and towns in Israel, over 500 cities in the US, and a combined one million Jews in more than 1,400 cities in 98 countries worldwide celebrating Shabbat – together. “Over 250,000 women will be diagnosed with breast cancer this year in the US. We are thrilled to introduce the Pink Challah Bake to this Shabbat Project, allowing women from communities across the country to come together in Jewish unity and to bring greater awareness to the importance of regular screening,” said Nisa Felps, Pink Challah Bake Coordinator. 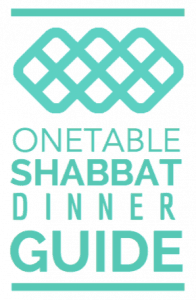 The Shabbat Project is a global, grassroots movement that brings Jews from across the world together to celebrate a single Shabbat, transcending religious affiliation, political persuasion and other arbitrary divides such as age, language and lifestyle. Previous Letters: From Then to Now. And Where Next?